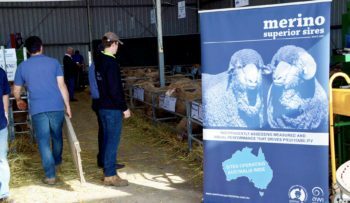 What is Merino Superior Sires? Merino Superior Sires (MSS) is a sire evaluation program that compares the breeding performance of a sire by evaluating his progeny and their expressed traits relative to the progeny of other elite MSS sires. Progeny are evaluated to assess a sire’s breeding performance for a large number of traits which are important to breeders and commercial producers. The results assist in the selection of sires suitable for a large range of breeding objectives. This website provides the Merino industry with an avenue for accessing the data and results of sires involved in the Merino Sire Evaluation (MSE) program. The MSE is a national program currently operating at 9 sites across Australia. 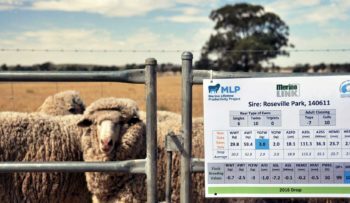 Five of these sites are hosting the Merino Lifetime Productivity (MLP) Project – a research project tracking a sire’s ewe progeny through their lifetime. 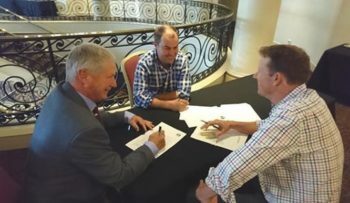 The Australian Merino Sire Evaluation Association (AMSEA) manages both the MSE program and the MLP Project at a national level on behalf of breeders and the Merino industry. 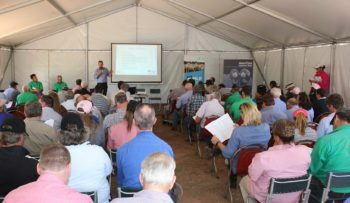 The Australia Merino Sire Evaluation Association (AMSEA) is a not-for-profit organisation that oversees Merino Sire Evaluation across a range of sites located throughout Australia. These sites provide unique opportunities for ram breeders to compare genetic performance of individual rams with those from other ram breeding flocks. AMSEA collates, analyses and publishes data from all sire evaluation sites to form the national publication Merino Superior Sires. AMSEA is also the governing body that determines the requirements for how each site is operated. Merino Sire Evaluation commenced in Australia in 1989 and since then, has been at the forefront of genetic progress in the Merino industry. Through its innovative programs of benchmarking sires for both measured and visual performance, AMSEA has driven genetic gain by providing ram breeders access to the latest information and results that promote profitability. 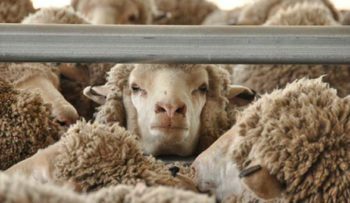 AMSEA is the organisation that is delivering the multi-million dollar Merino Lifetime Productivity (MLP) Project, funded by Australian Wool Innovation, to the industry between 2015 and 2024. Individual sites are located throughout the major wool growing regions of Australia. Between 12 and 20 sires are generally entered at each site. The evaluation includes sires that are entered by breeders or owners. An entry fee is paid for each sire entered. A sire is often entered in more than one site. Sires who are entered at two or more sites are called Link Sires. Link Sires allow sires entered at different sites and in different years to be compared by removing the differences between sites, years and seasons, leaving only the genetics to be evaluated via the progeny. One Link Sire is joined for every seven sires at a site. It should be noted that the MSS performance of an individual sire in isolation cannot be considered an indication of the performance of the stud which bred the sire. The ewes that form the basis of a site are selected on the basis of offering an even, classed line that is representative of the sheep typically run in the environment of each site. An equal number of ewes are joined through Artificial Insemination (AI) to each sire. The minimum number of ewes joined to each sire is 50, with some sites choosing to join more. Evaluation of a sire’s progeny is the key to MSE. 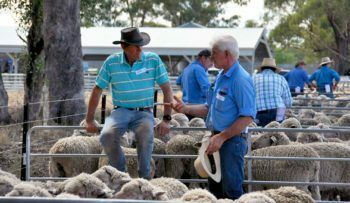 Progeny are managed together under the same conditions throughout the period of the trial, with the exception that single and twin bearing ewes can be separated prior to lambing and managed accordingly up until weaning. Ewe and wether progeny can also be managed separately. All progeny are evaluated with no culling, except for welfare purposes. Progeny are not identified by their sire group during the trial. Progeny can be evaluated at many stages in the trial. These include early post weaning (120-210 days), post weaning (210-300 days), yearling (300-400 days), hogget (400-450 days) and adult (>540 days). Many sites complete evaluations at two or more stages. Evaluation involves both measured traits and visual assessment. Measured traits are completed by independent and specialised service providers. 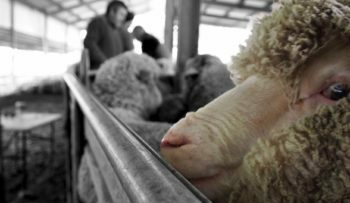 Visual assessments (including classing for Tops and Culls), are completed by independent sheep classers and involve evaluating a comprehensive list of visual traits for wool and conformation characteristics. All classing is carried out in a randomised, blind manner so the classer isn’t aware which sire’s progeny they are assessing. 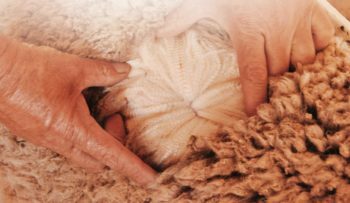 Site reports are published for each site, they provide information on traits including conformation and wool quality traits, breech wrinkle scores plus internal parasite resistance and carcase traits. Site reports are available for download in the Sites and Reports pages of this website. All site results are collated and analysed independently, then annually reported publicly via the Merino Superior Sires publication and on this website. These results represent a combined site and year sire evelaution analysis which makes it possible to accurately compare the annual results from a site with those of another site or year. This is possible as the analysis takes into account the environmental differences between sites and the years that evaluations are undertaken. 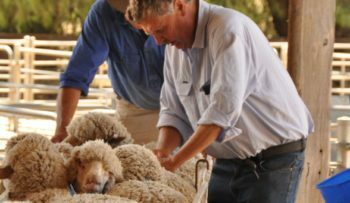 All results are submitted to Sheep Genetics and contribute to the MERINOSELECT database. ASBVs are reported in Merino Superior Sires.